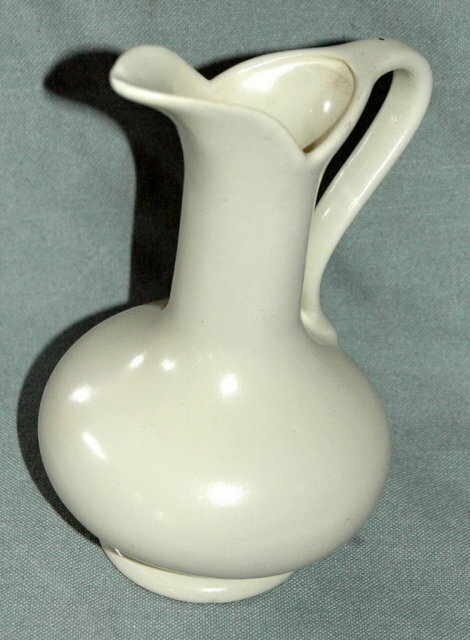 Unmarked Pottery Pitcher Ewer with white semi gloss glaze. The texture is very smooth. There is no crazing. It measures 8" tall. The bottom has been glazed.. There is no glaze on the bottom rim. The condition and the quality is excellent. There are no pits or dings or glaze drips. 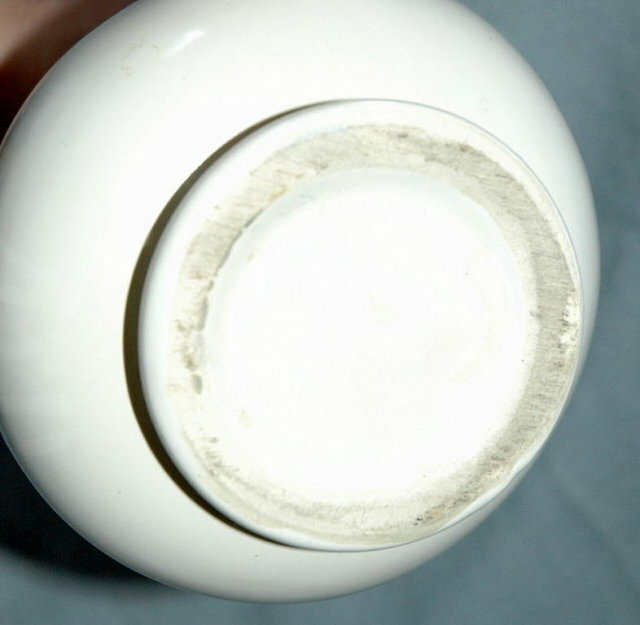 There is two small areas on the bottom where the glaze as missed besides the rim. I am not familiar enough with pottery to identify the maker unless a piece is signed. Although it does look and feel similar to Catalina. There is mark of sorts on the bottom that looks like two parallel lines. Could be the outline of a N or an H. But cannot begin to guess as to what it could mean. Please check out the rest of my Fabulously wonderful & wide variety of estate treasures . You'll find my selection not only interesting & fun to browse through but affordable too. Items Similar To "White Pottery Pitcher Ewer unsigned *"
Wedgwood St Moritz Dinner Plate.